If you have been following me for any amount of time, you know that I make good money selling t-shirts online (mainly through the Merch by Amazon platform) and that my real passion lies in software. That being said, in order to be a successful internet marketer, you always have to be testing new ideas and markets. Time an time again I see people who want to make their first dollars online actually succeed in doing so but after many months or many years, it all dries up. Because these people were not willing to adapt and keep learning. This is the number 1 reason that people fail. They do not want to test the market but keep doing the same thing over and over again, getting stuck in a vicious cycle. During some downtime the other day, I stumbled across a video of a guy doing thousands of dollars through audiobooks. What really perked my interest is that these books are being sold through Amazon, or more importantly, Amazon’s audio book platform audible.com. This is one of the biggest audiobook portals in the entire world and I myself have purchased a few during some long road trips. 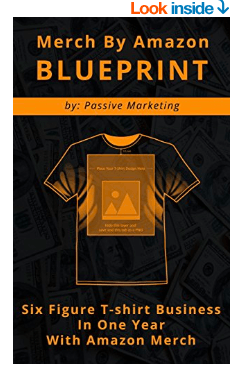 When I first started selling t-shirts online, the driving factor and where most of my success came from is that they are being sold on Amazon where the customers already are. I did not have to drive traffic at all, only give an existing audience what they wanted. This opportunity looks EXACTLY the same and the competition is so low, its crazy! Why Audible.com (Amazon’s Audiobook Platform)? The very first thing I did was take a quick look at how much traffic the platform was getting. I was seeing people put up some pretty impressive numbers (into the 10 figures a month range) so before I dove in, I wanted to make sure the market was actually there. What I did was take the domain (audible.com) and put it into a website called Similar Web. This website is incredibly helpful in estimating the amount of traffic that a platform receives each and every month. As you can see at the time of writing this, there is almost 22 million visitors per month with an average duration of close to 5 minutes. This is exactly what I want to see! 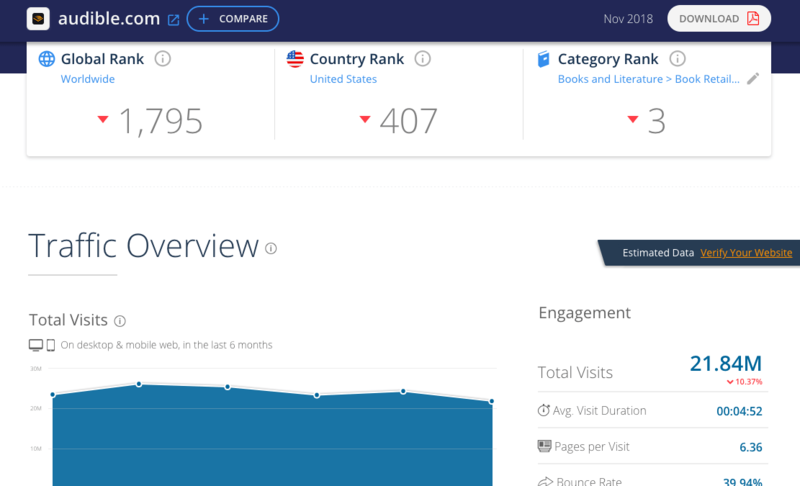 Lots of traffic, and relatively little competition because there are not that many books out there. I was down to give this method a try, which is why I am starting this case study. Before you attempt to put up an audio book at all, you need to make sure you RESEARCH the niche. Just as with everything else when it comes to internet marketing, you need to make sure that there is customer demand, but that you can break into the market in the first place. The way we do this is pretty simple. 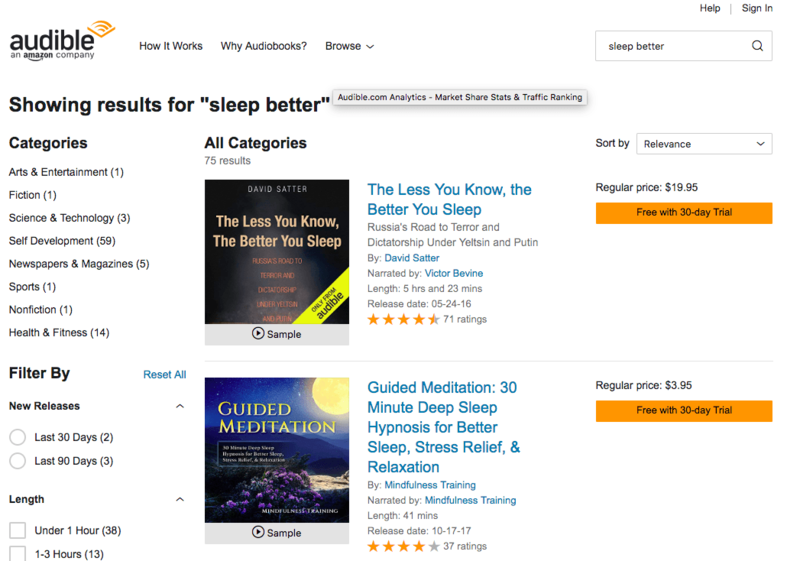 First, you want to look at Amazon.com for books (NOT audiobooks). For the sake of this example, lets use the first niche that came to my head “merch by amazon”. Head on over to Amazon.com and just type in the niche you are interested in. If you are pulling back results that are not books, just follow it up with “book”. At the very top of the image, you can see that there are over “10,000” results for this niche. This is a good sign, that means there is customer demand there! Customers want to read and learn more about this niche. I also happen to hold the first and third position for this keyword (those are my books) so it makes this experiment a little easier to start! Even if there are a lot of results, you want to make sure to click on the first page of products, and look at the BSR or best sellers rank of an item. The lower the rank, the better it is selling. As you can see, almost all of the downloads are free, but I did this for a reason (which is for another article. In the upper right hand corner you will see the search box. This is where you want to put the same search term that you checked over on Amazon.com. Click on search and see what comes up! In this particular case there are ZERO results. That means that there is definitly customer demand over at Amazon.com and there are literally zero books on this subject on the audible platform that Amazon owns (and gets 20+ million visitors each month). There is clearly an opportunity here. After you get good at searching, you will realize that almost every niche under the sun has very very little competition. What you want to look for is where there are lots of results with a good BSR (under 100k on Amazon.com) and you want to see that there is less than 100 results on Audible. The opportunities here are almost endless. Remember, it is all about niching down! If one of the most competitive niches on the internet (making money online) has such small search results, then you KNOW this is an untapped gold mine. Now that we have a niche, we need an actual book! Any one of you reading this has the ability to write their own books. It does not matter if you are a great writer. However, if you are NOT a writer, no interest in being a writer, and simply want to get a book up to test this method, there is an easy way to do that. I will be going over how to outsource the actual book creation as well as the audio voice over for that book once it is complete. Your book can be as long as you like or as short as you like. However, how long it ends up being is going to determine what kind of royalty you get once the entire process is complete. Because of this, I would recommend about 20-25k words per book. 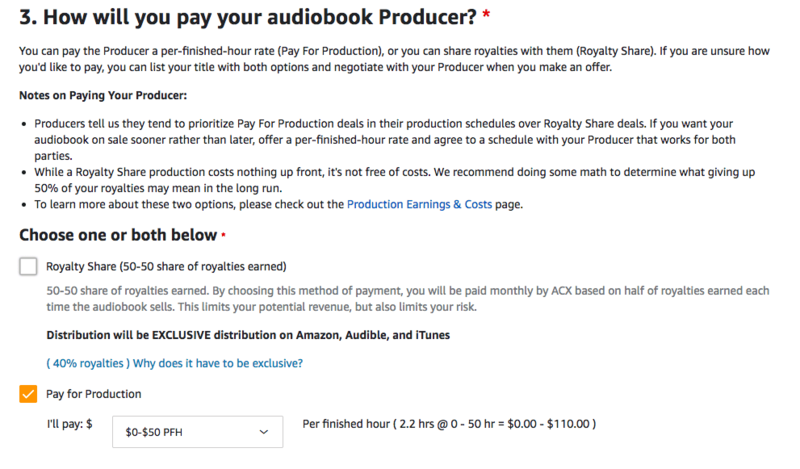 This should put your final audiobook at just over 3 hours in length and this is where you make the best money. We have a niche, we have a target length for the book, now we just need to find someone to actually write the thing! For this, we will be using OnlineJobs.ph. This is by far the best freelancer network I have used and time and again, I have found that I get much better quality freelancers from here over other networks that are free. If you do not have an account, make sure to click on the link above and sign up. Once you have done that, it is time to actually post your first listing. I find that having a general outline for your book is the easiest way to get a good quality product. You can do this by looking at the chapter headings of some of the best sellers. Compile a list of all the headings, and then formulate your own online so that your book will be the most comprehensive book on the market for that niche. I am in need of an excellent writer to product an ebook in the “X” niche over the next month. Your task will be to take a general outline that I will provide, and complete all the chapters. The goal of the book is to provide a complete resource on the “X” niche when it is finished. I am willing to leave 5 star reviews for a job that has been completed to the specifications and within the deadline so that you will be able to land jobs quicker in the future. I am looking to hire for a full time position so if the job is completed successfully, there will be lots more work to come in the future. Clearly the “X” should be whatever you want the author to write about but this is just a sample script. You should of course play around with it to get the best results. This script works well for a few reasons. The first is that you are offering them 5 star reviews if the job is completed successfully. Freelancers live and die by their reviews so the more positive 5 star ratings they receive, the easier it will be for them to get higher paying gigs in the future. It also works incredibly well because you are offering them full time work moving forward if the job is successful. Freelancers spend a majority of their time searching for new clients so if they can cut out that process completely and just provide you with excellent ebooks, they know they can make a lot more money. The budget for your book is going to depend on the quality you are looking for. The higher quality the book, the better it will do. I like to offer about $20 per 1k words but you can certainly go cheaper than this. $20 per 1k words is where I really find that the quality gets a LOT better and have had lots of success hiring at this rate in the past. This will put your book cost at around $400-$500 dollars. Think of this as an investment in your new venture. However, you can always write the book yourself but that will probably take a while if you are not familiar with the niche subject. 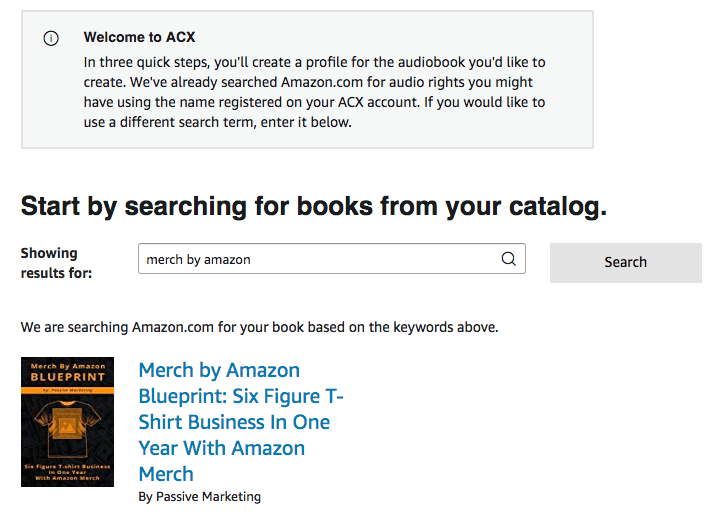 Before you can actually create your ACX book, you will need to upload your book to Kindle. 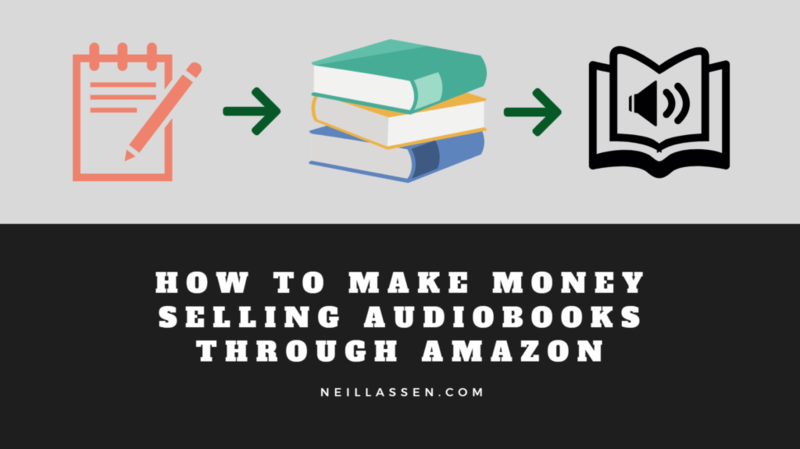 This is a platform for ebooks that sell on Amazon and ANOTHER avenue for you to make money with your book (outside of audible sales). Head on over to kindle here: https://kdp.amazon.com/. Sign up for an account and enter in all your information so that you can get paid. Now that you have an account, you need a few other bits before you can actually upload your book. You now need to get a cover for your book created. The idea image requirements for kindle for your book cover are 2560 pixels by 1600 pixels. Your book cover is important!! I know everyone always says not to judge a book by its cover but we all do it. You do it, I do it, and your potential customers are going to do it too! Because of this, head back over to OnlineJobs.ph and post a job for an ebook cover designer. There are a lot of very very talented artists out there and you should get an amazing cover for your book for $20-$30 dollars. 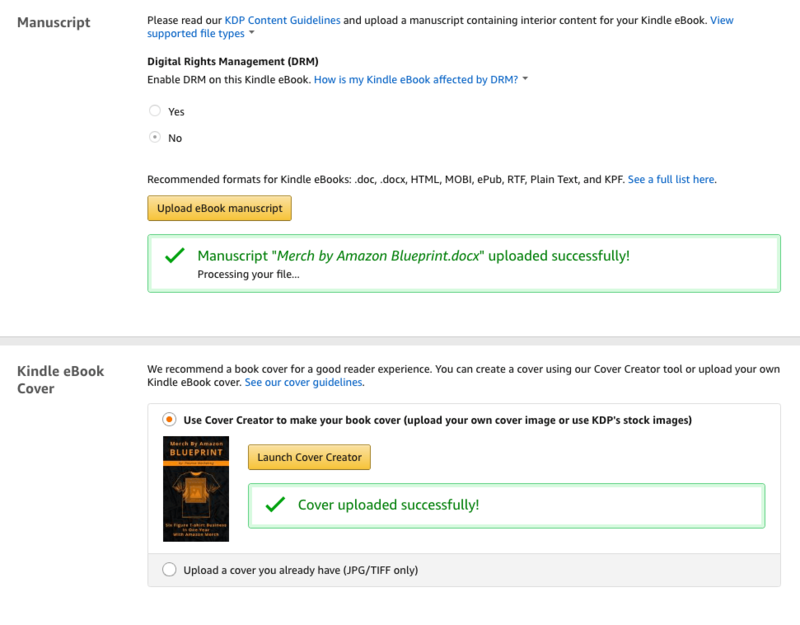 Now that you have your book and your cover, let’s upload to Kindle! After you are done adding the Kindle eBook, I would highly suggest adding a paperback as well. We will not be focusing on the paperback, but this is just another avenue that you can make money from your book. Give your book a title (what is on the book cover), an author, and a description. Make sure your description is long and detailed. I like to tell a little bit about what is in the book as well as outline the chapters and what the customer will be learning when they read the book. After you have filled those out, it is time to enter in some backend keywords. These are keywords that you want the book to rank for. Think like a customer here. Whatever they might search for, enter these as your back end keywords. You can pick up to 7 backend keywords, so I would suggest using all 7. Once you have your keywords selected, choose a category for your book, and then click on continue. You do not need to enter an ISBN so go ahead and click save and continue at the bottom of the page. Set your book at $2.99 or above, and select the 70% royalty share. If you price below $2.99, you will get a much smaller cut. Since we will not be focusing on the actual ebook, every time it sells, we want to maximize our profit. Now all you have to do is scroll to the bottom and click on publish your book! It can take a while to publish, but I typically see all my books going live within 24 hours. You need to wait for your book to go live, so in the meanwhile, I would suggest publishing the paperback version as well! If you have made it this far in the article and are still with me, I am impressed! Most people are not going to make it past the first few steps, which means even though I am publishing this, this method is still going to remain untapped! So far you should have a book with a cover, and it is published on Kindle meaning it is for sale on Amazon.com. This means we can FINALLY start creation of our audiobook! To begin, head over to ACX.com and sign up for an account. This is the dashboard for audible.com which is where we want to publish our book. Again, fill out all your information and take the tax interview. Once you have done that, click on “Add Your Title” from the upper right hand corner. Search by keyword and find your book on Amazon.com. Once you have found it, click on “This is my eBook”. You can either upload audio for the book you already have (which I assume you don’t), of you can find someone to narrate the book for you. 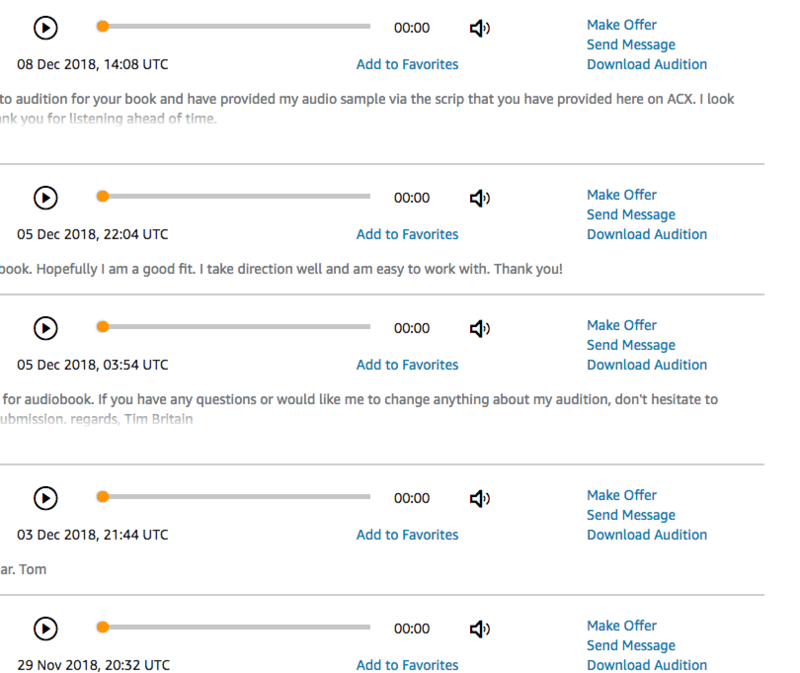 This is not going to be free, but you can find some real talent out there that will read your book and allow you to publish audiobooks without ever using your own voice. Select the first option and click on continue. Accept the terms and conditions, and click on continue. The next page is where you want to fill out your book information. Since your book is already on Kindle, most of this is going to be selected for you. 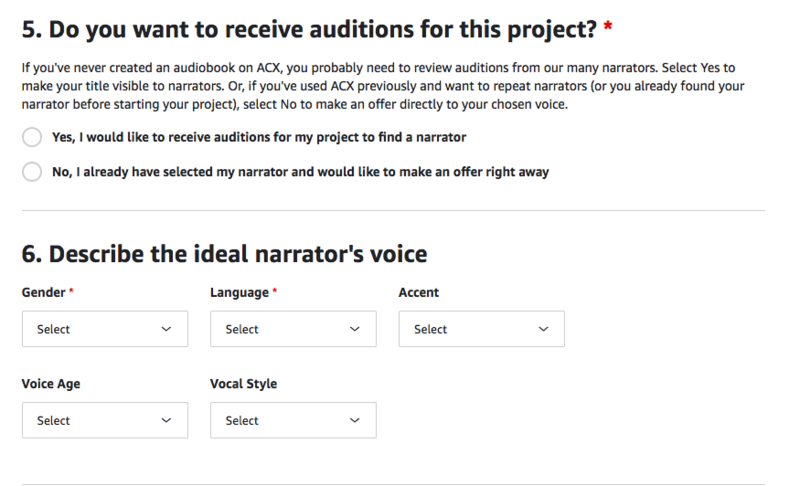 This lets you say that you want to receive auditions from narrators but also lets you describe the voice you are looking for. I like to select this based on the topic of the book and what would fit best. After you upload a test piece of your book for your narrator auditions, click on next. The next page is the MOST IMPORTANT part of the entire process. You can pick how you pay the person that is narrating your book. By default, the first option is going to be selected (Royalty Share) but you do NOT want to do this! If you have a successful book, that means you will giving half your royalty away for many years to come. Instead, select pay for production and pay your narrators up front. I have found that the lowest level of $0-$50 per finished hour (PFH) works well and you get some quality people applying to narrate your book. For a book of 20,000 words, you can expect to pay a little over $100, but you do not have to do any of the work yourself! You will start getting auditions almost immediately over the next few days and you will be able to see this in your top menu. Once you have someone selected, all you have to do is then make an offer, and they will do the rest! The narrator you chose may send you a few questions over messages, so make sure you are watching your email whenever those come in. Once your narrator has finished the book, you have to approve it. After you approve it, you MUST pay your narrator before the book will go live on audible. This is not very clear for a first time user. I was expecting the system to use my card on file, but had to follow up and actually send the narrator the money over paypal. After that occurs, they will also approve the book, and it will get final approval from the ACX team! Once you receive that email, it is just a waiting game as the book is pushed out to retail! That about wraps up the process of getting an ebook created to put on ACX. Selling audiobooks is one of the most under-tapped markets right now that everyone is ignoring. The reason is that there are a lot of steps involved, but there is just so little competition. 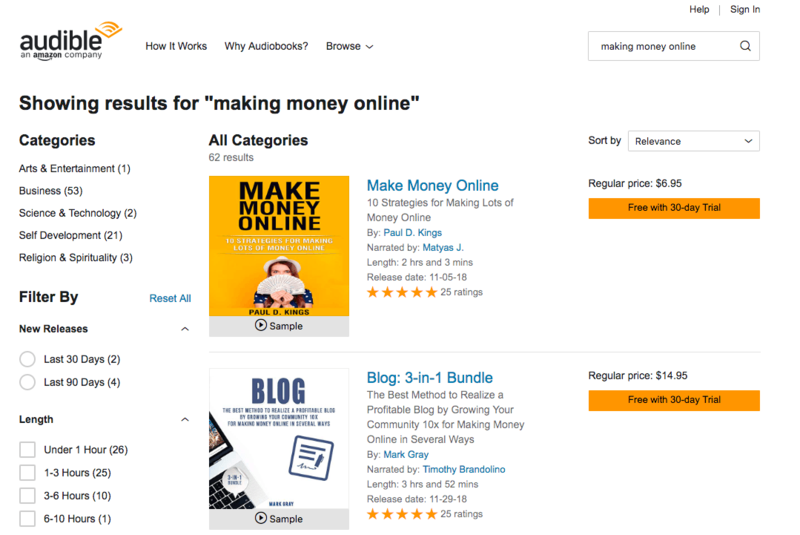 In the future, we will be going over how to rank your book on Audible as well as getting those initial reviews to make sure that you can get the first initial downloads. If you have any questions on the process, drop them below and I will do my best to answer them.